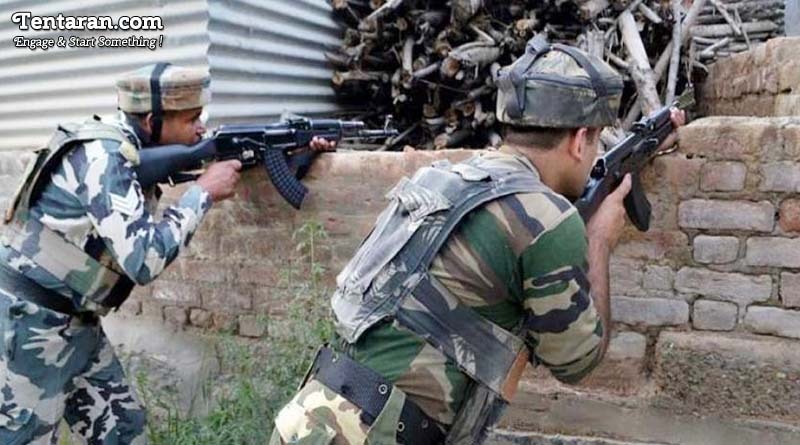 Three Soldiers were killed and four were reportedly injured in terror attack when terrorists ensnared an army convoy today morning, in Shopian, Kashmir. A woman at a nearby village has died in the cross fire. The soldiers from 44 Rashtriya Rifles were returning from the Anti-Terror search at Matrigam Village late on Wednesday when they were attacked by heavily armed terrorists at 2:30am. The Army cross fired in retaliation and firing went on for about an hour but the terrorists managed to escape In the dark. One soldier died on the spot while the condition of others injured is reportedly critical. The son of the deceased mother who was killed inside her home after a bullet hit her in cross fire, said, “My mother was upstairs. I woke up after hearing shots and when I went to check on her, she was dead”. This is the fourth major attack in recent time in Jammu and Kashmir.